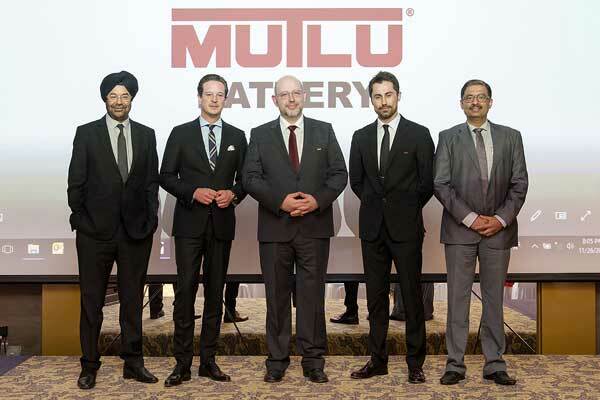 Ebrahim K Kanoo, a diversified business conglomerate based in Bahrain, has added Mutlu Battery to its portfolio of solutions of the future of the automotive and industry. Mutlu is one of the companies of the South African group - Metair. The Metair group is one of the world’s leading energy storage solutions companies with innovative and best in class products to support the automotive and industry machinery. The company has been in operation for over 70 years and its products are available in 70 countries across five continents with an estimated 60 million users around the world. The company’s main battery plant is located in Istanbul and covers an estimated 206,000 square metres with over 900 employees. Ebrahim K Kanoo chief operations officer Stefan Moench welcomed the Mutlu brand into Bahrain at a ceremony at the Golden Tulip in Manama, said a statement. “We always seek out the best products in order to provide our customers with reliable, quality products to suit their individual needs,” he added. Mutlu export director Ozgur Bekiroglu attended the ceremony and praised Ebrahim K Kanoo and lauded the partnership. “The Bahrain market is very healthy and we know of Ebrahim K Kanoo’s reputation for providing the best products and solutions with a very high standard. This fits perfectly with our global vision and we look forward to providing quality products to the people of the kingdom,” Bekiroglu added. Mutlu Battery has won multiple awards and has been certified by some of the top agencies and industries in the world including multiple ISO, TSE and recognitions of their sustainability and eco-friendly plants and products. Currently the company produces automotive and industrial batteries, solar systems, back-up systems, standby systems, charging systems and battery distribution networks.